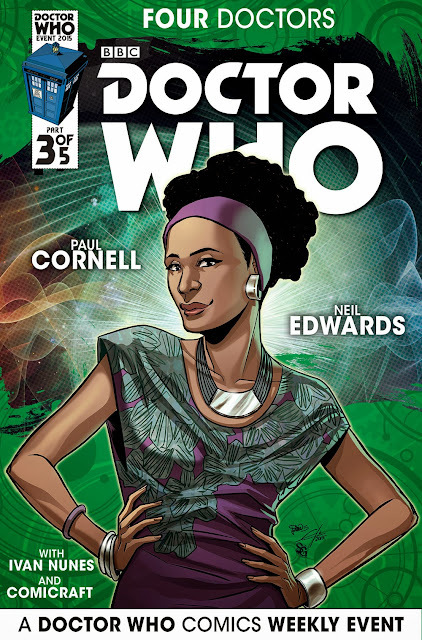 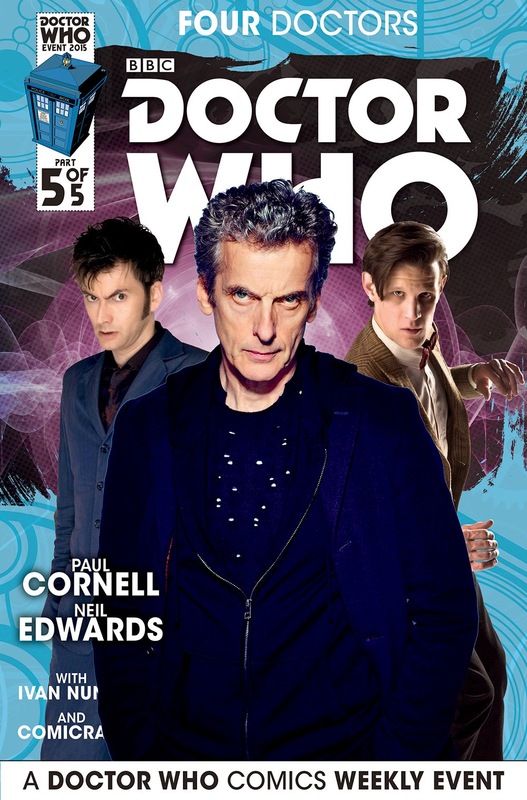 Doctor Who: Four Doctors Summer Event - All Covers Revealed! 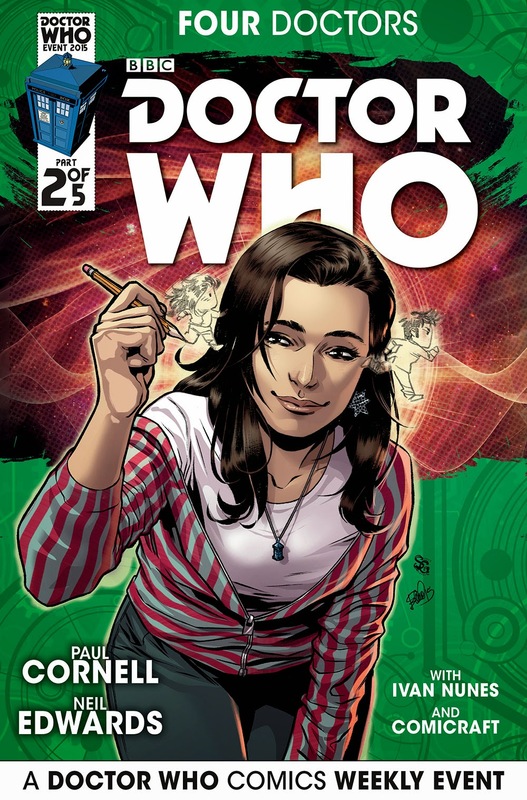 | Warped Factor - Words in the Key of Geek. Doctor Who: Four Doctors Summer Event - All Covers Revealed! 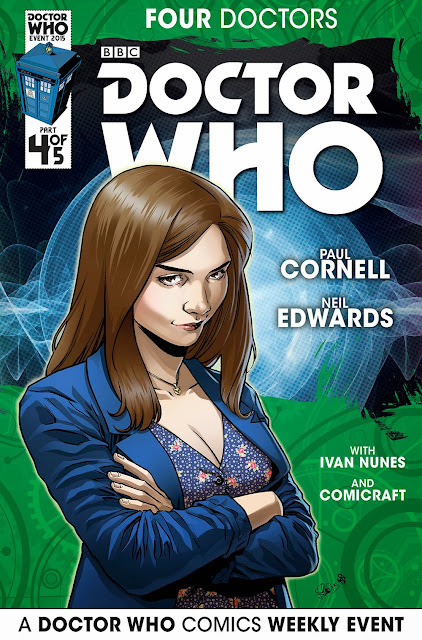 This Summer see​s​ the launch of ​Titan Comics' spectacular 5-part weekly Doctor Who: Four Doctors event. 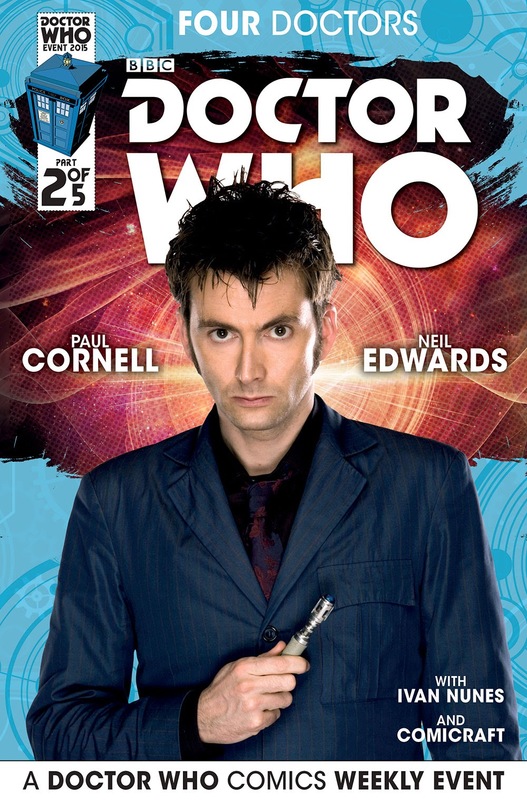 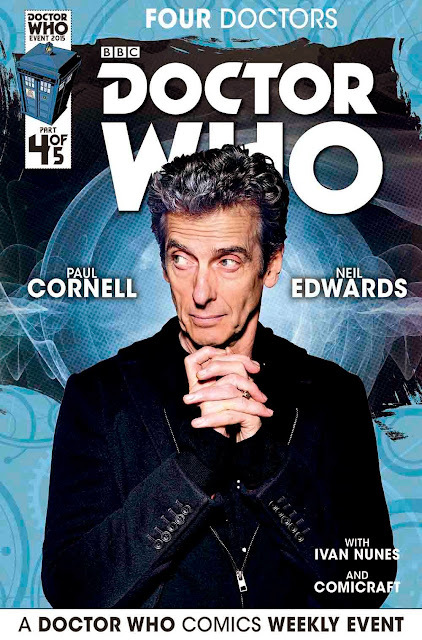 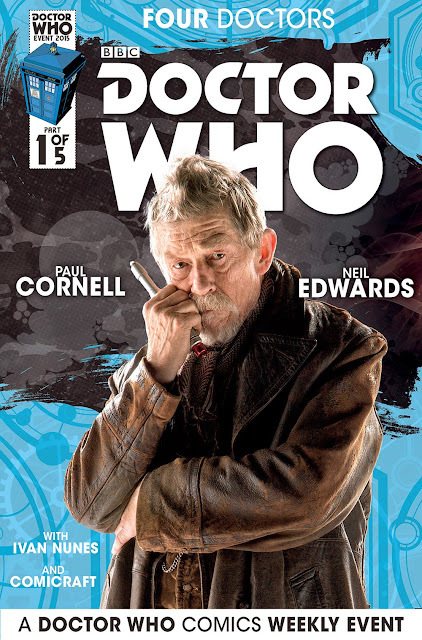 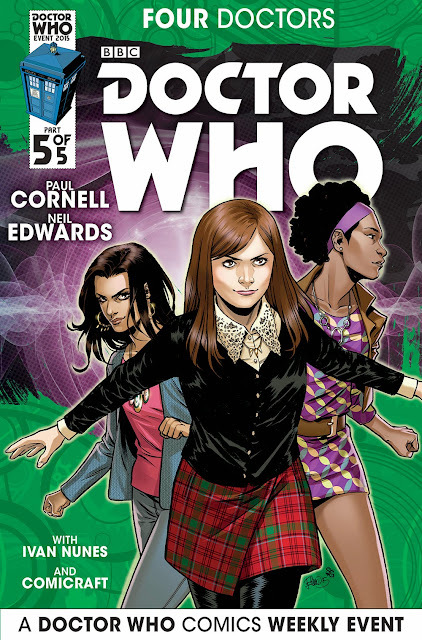 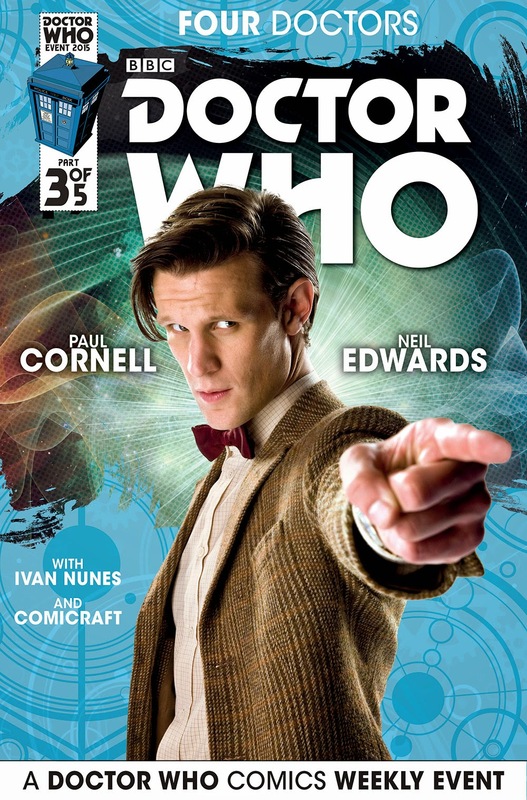 Penned ​by Paul Cornell, illustrated by Neil Edwards, ​and ​staring​ the​ Tenth, Eleventh and Twelfth Doctors with their comics companions, and featuring the War Doctor! 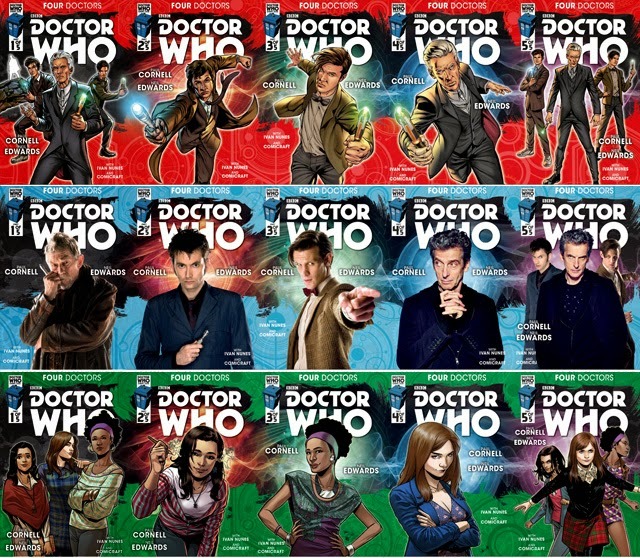 As you can see, each of the five ​issues comes with three covers to collect: an art cover, a photo cover and a companions art cover! 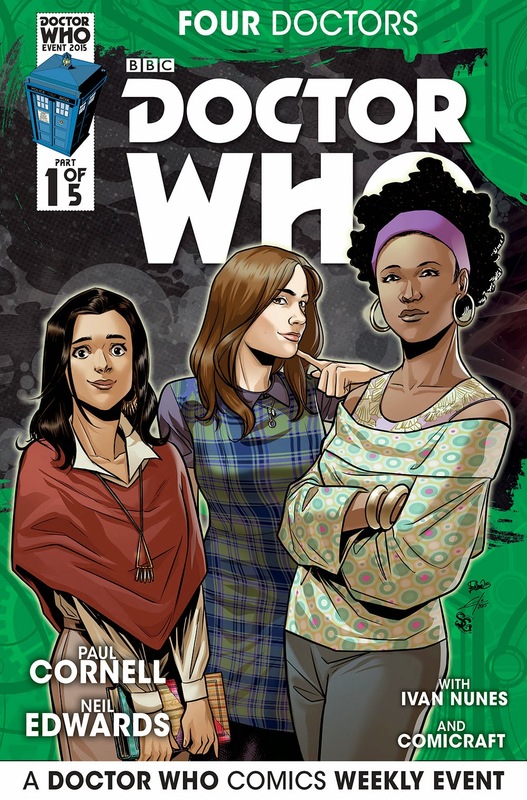 To keep up to date with this special Doctor Who ​comics ​event follow Titan Comics on Twitter at @ComicsTitan or connect with Titan Comics ​ on Facebook and Tumblr.